Once you’ve found a print or canvas you want to order just drop us an email and let us know which one you want. You will then receive an email back from a member of the AirMonkey crew confirming the order and offering methods of payment or if there is an option to buy then just click and you will be taken through to the checkout. All colours on the website are an RGB representation of the actual print and therefore may differ slightly to the printed product. 1. All screen prints are sent on a guaranteed priority service. 2. Please allow up to 28 days for delivery. Airmonkey will not be held responsible for any t-shirts or other products bought from http://AirMonkey.spreadshirt.co.uk/ we have tried to supply spreadshirt with the highest quality designs to use on their products but print quality is the sole responsibility of spreadshirt.co.uk along with the quality of all products purchased through the airmonkey shop on their site. When you are shown the pre order symbol it means you are able to order the print of your choice while it is in the process of being produced. The print will then be sent out to you when it is available, no longer than 28 days after you have ordered. If you wish to make a trade purchase please contact us. Each request will be handled on it’s own basis at the discretion of AIRMONKEY. Personal data received during the order process is used for the purposes of fulfilling orders. Any email addresses added to the mailing list will be used soley by AirMonkey to inform you of new releases and will not be given to any third parties. Your credit card details are not stored by AIRMONKEY. Card details are securely delivered directly via PAYPAL online payments. All payments are taken in UK Pounds Sterling (GBP), and will be charged at the current exchange rate. Images used on this website are reproduced with the express permission of the relevant artist. Copyright is retained by the artists and must not be reproduced without the express written permission of the artist or AIRMONKEY. Any unauthorised reproduction will result in legal proceedings. The information contained in this archive is provided 'as is' without warranty of any kind. The entire risk as to the results and the performance of the information is assumed by the user, and in no event shall AIRMONKEY be liable for any consequential, incidental or direct damages suffered in the course of using the information in this archive. 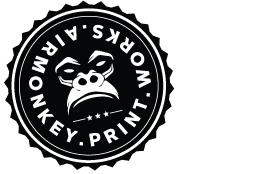 AIRMONKEY is a trading name of Styles Publishing Limited. Use of the information contained in this archive are governed by their respective license agreements and may contain restrictions on use. Some of the content on this site is intended for adults only. AIRMONKEY accepts no responsibility for any offence materials on the site may cause. Access to this website is at the users own risk. AIRMONKEY is not responsible in any way for the content of any websites externally linked to this website. AIRMONKEY reserves the right to not sell an item to an individual or group at any given time, even if payment has been made. In such instances a full refund will be processed promptly.